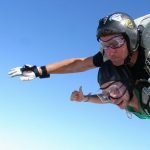 Do you want to enjoy a Tandem Jump or a Parachute jump or enjoy an accelerated free fall? Are you lover of paragliding? Durham is the best place to experience the dream of aerial sport. Take a flight in the airplane and then jump down towards the earth. The Centers and Clubs have drop zones which are operating in unrestricted Air Space and they have flying aircraft capable of dropping parachutists from up to 15,000ft. Here you can enjoy a Static Line Parachute Jump as well as Tandem Skydive. People come here to get excitement of falling from the sky with a speed of 120-180 mph. Petelee Parachute Centre is located in one of the beautiful Parachute Centre in the area and people come and enjoy here. Skydive Academy offers Solo Parachuting, Tandem Skydiving & Accelerated Free Fall Courses where you can enjoy a lifetime experience. With very little training you can enjoy the speedy travel towards the belly of Earth. 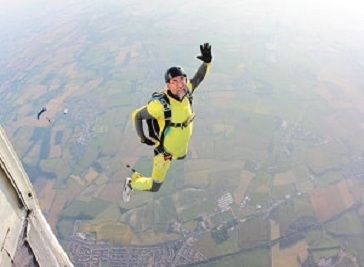 Skydiving is one of the popular outdoor activity amongst all ages and lifestyles.